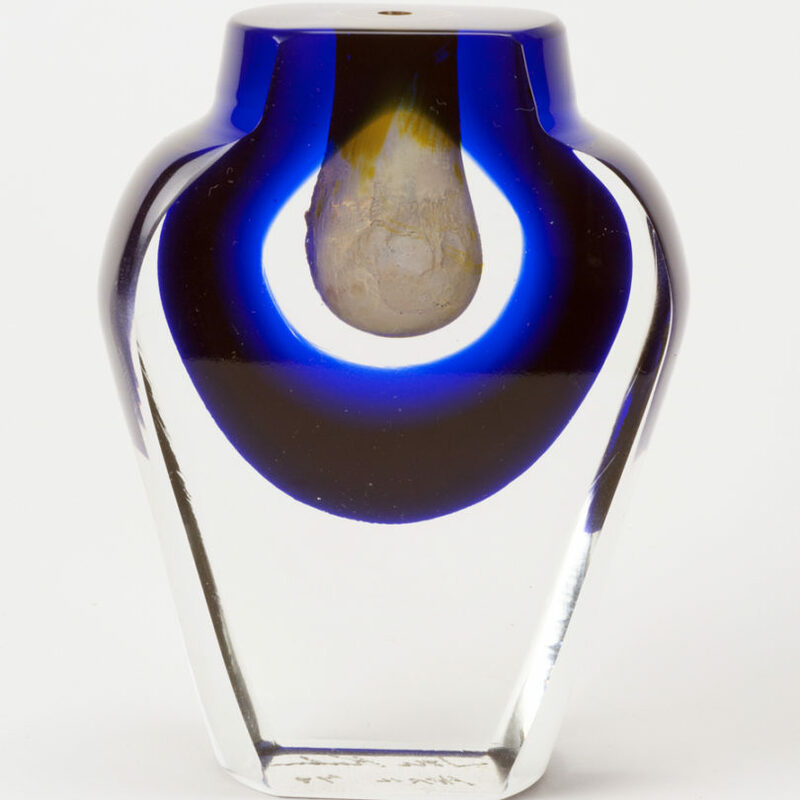 John Kuhn, Sculpture, glass, cased, cut, polished on glass, 4.1 x 3.3 x 1.3 inches. Gift of David L’Eglise. 2012.09.50.